Search their listings of Meetup groups in your area. Try searching for “poetry,” “slam,” “writers,” “writing,” or anything else you may be interested in. You can search the registered poetry slam listings by slam name, city, and/or state. Simple listing of open mics by city, state, or Zip Code. 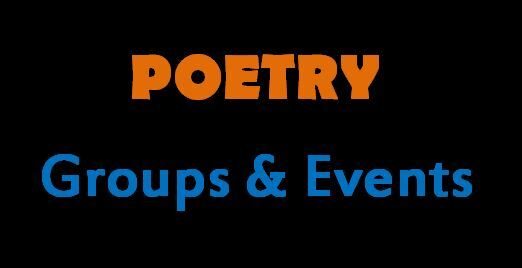 The National Federation of Poetry Societies has listings and links to their associated state poetry societies with web sites. Including AL, AZ, AR, CO, CT, FL, GA, IL, IN, IA, KY, LA, ME, MA, MI, MN, MS, MO, NM, OH, OK, OR, PA, SD, TN, TX, UT, and WY. The Poetry Society of America has a broad listing of Literary Organizations. The listing is alphabetical, so you will need to know the name of the organization you are looking for or browse through the listings. The Academy of American Poets (poets.org) has a listing of all things poetry by state or Zip Code. Where to Submit in March by Entropy–the list of all lists!